We Also Build Great Websites! and We Take Care Of The Tech Part! Besides building great apps, we also build world-class, easy to maintain websites. Is Affordable And Can Be Implemented Quickly - We have pre-built websites for specific business types. We can easily customize a site for your business and get you up and running quickly and at a very reasonable price. 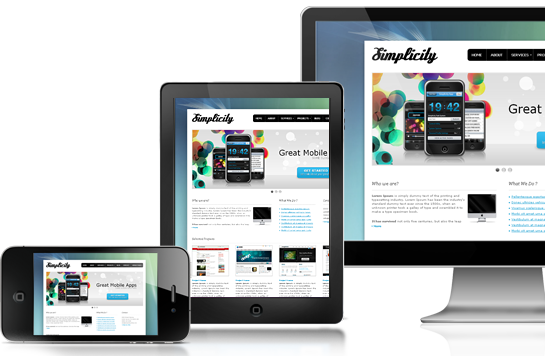 Looks Great - We will design you a site that you will proud to call your own. Helps Get Customers - The internet is not going away and more and more people these days are using the internet to find the places they want to shop at. If you don't have a decent website, that may be a lost customer. Let us help you build a site that will entice prospective customers to become actual customers. Can be EASILY updated by the average computer user - Your business changes over time and so will the information on your website. You don't want to be bogged down by the technicallities of building a website. We have websites that customizable in a way that you will understand and be able to update yourself. Becuase our websites are built around your type of business, not just any business. Check Out This Sample - All of the content of this site is easily updateable. Contact Us For a demo.